U.S. stock futures point lower; surging oil prices boost equities in Europe and Asia; Amazon says its Prime subscription program has more than 100 million members; P&G to buy German Merck's consumer healthcare unit for $4.2 billion. U.S. stock futures suggested Wall Street would open lower on Thursday, April 19, but surging energy and commodity prices boosted benchmarks in Europe and Asia. Contracts tied to the Dow Jones Industrial Average slipped 34 points, while those linked to the broader S&P 500 fell 5.25 points. Futures for the Nasdaq were down 14.25 points. Stocks in Asia closed Thursday with strong gains while European equities moved mostly higher after oil prices rose to the highest levels in more than two years. A Reuters suggested Saudi Arabia, the world's biggest producer, would be content with crude prices that approached $100 a barrel and won't push for changes in the current OPEC agreement that is taking 1.8 million barrels from the market each day until the end of 2018. Crude oil prices in the U.S. early Thursday rose 0.47% to $68.79 a barrel. Stocks closed mixed on Wednesday, April 18, as investors weighed strong earnings from Wall Street firm Morgan Stanley (MS - Get Report) against disappointing results from International Business Machines Corp. (IBM - Get Report) . The Dow declined 38 points, or 0.16%, to 24,748. The S&P 500 rose 0.08% and the Nasdaq gained 0.19%. Bank of New York Mellon Corp. (BK - Get Report) reported first-quarter earnings that topped analysts' estimates and the stock rose 1.5% in premarket trading. Danaher Corp. (DHR - Get Report) posted first-quarter earnings on an adjusted basis of 99 cents a share, beating Wall Street forecasts by 5 cents. Danaher said it expects second-quarter adjusted profit from continuing operations of $1.07 a share to $1.10 a share. Analysts forecast $1.08. The stock was up 1.2%. Danaher is a holding in Jim Cramer's Action Alerts PLUS Charitable Trust Portfolio. Want to be alerted before Cramer buys or sells the stock? Learn more now. The U.S. economic calendar on Thursday includes weekly Jobless Claims at 8:30 a.m. ET, and the Philadelphia Fed Business Outlook Survey for April at 8:30 a.m.
Amazon.com Inc. (AMZN - Get Report) rose 1.9% in premarket trading on Thursday after the online retailing giant said membership in its lucrative Prime subscription program topped 100 million as it continues to expand overseas and challenge traditional retailers in the world's biggest markets. 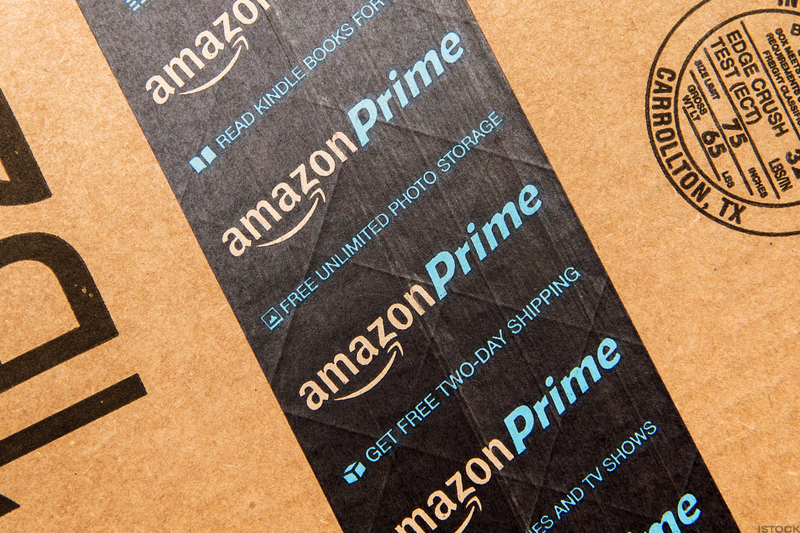 In his annual letter to shareholders, Amazon CEO Jeff Bezos said more than 5 billion packages had been shipped via Prime worldwide after a record year for new subscribers in 2017. Bezos also noted that around half of its global sales took place on Amazon Marketplace and that Amazon Prime Day saw 60% growth - with top-line sale of 40 million items - from 2016. He also highlighted the company's recent accomplishment of receiving top honors in the American Customer Satisfaction Index, a position its held for eight consecutive years. "The high standards our leaders strive for have served us well," Bezos said. "And while I certainly can't do a handstand myself, I'm extremely proud to share some of the milestones we hit last year, each of which represents the fruition of many years of collective effort. We take none of them for granted." Procter & Gamble Co. (PG - Get Report) agreed Thursday to buy the consumer healthcare unit of Germany's Merck KGaA (MKGAY for around $4.2 billion in the first major purchase for the company since activist investor Nelson Peltz won a seat on the board late last year. Procter & Gamble will pay €3.4 billion ($4.21 billion) for the division, which includes brands such as Seven Seas and Neurobion vitamins, in a deal that is expected to close in the fourth quarter. Darmstadt, Germany-based Merck said around 3,000 employees will ultimately shift over to the P&G stable once consultations with works councils have been completed. "We like the steady, broad-based growth of the OTC Health Care market and are pleased to add the consumer health portfolio and people of Merck KGaA, Darmstadt, Germany, to the P&G family," said CEO David Taylor. Procter & Gamble also reported fiscal third-quarter core profit of $1 a share, 2 cents ahead of estimates. P&G was down 0.8% in premarket trading. The Federal Aviation Administration's announcement late Wednesday came nearly a year after the engine's manufacturer recommended the additional inspections, and a month after European regulators ordered their airlines to do the work. Pressure for the FAA to act grew after an engine on a Southwest plane blew apart on Tuesday, April 17, showering the aircraft with debris and shattering a window. A woman sitting next to the window was partially blown out and died of her injuries. The plane, which was headed from New York to Dallas, made an emergency landing in Philadelphia. Investigators said a blade that broke off mid-flight and triggered the fatal accident was showing signs of metal fatigue. The National Transportation Safety Board also blamed metal fatigue for an engine failure on a Southwest plane in Florida in 2016. Streaming giant Netflix Inc. (NFLX - Get Report) has explored the idea of buying movie theaters in Los Angeles and New York that would enable it to screen a growing pipeline of feature films and documentaries, the Los Angeles Times reported, citing people familiar with the situation. Netflix executives considered acquiring Los Angeles-based Landmark Theatres, the circuit co-owned by Mark Cuban, but recently backed off the idea, two people told the the Los Angeles Times. One of the people with knowledge of the matter said Netflix decided not to pursue a deal because executives believed the sale price for Landmark was too high.